Graduation is a time of nostalgia. You look back on your years in high school, thinking of the friends and classes that got you to this point. You remember the agonizingly long nights studying for exams, as well as the nights where you celebrated that “A” you worked so hard to pull-off. You think about the lectures that put you to sleep, followed by the lessons that gave you a passion for learning. You wrap yourself in memory as you do your cap and gown, knowing that none of your high school career would be possible without your teachers that helped you along the way. Perhaps the fondest memories of my charter school are those with my teachers. My graduating class was small with only 59 kids. At times, this felt like a curse. We knew each other better than we really wanted to, creating a comfortable space in which students were sometimes too comfortable with their opinions. But our teachers never encouraged silence or simple acquiescence. We were given multiple opportunities to ask difficult questions, argue for our opinions, and learn why we aren’t always right; and why that’s okay. My teachers educated me as both a student and a colleague. I could always look forward to lunch in my English teacher’s room; where we had conversations ranging from the origins of human thought to the science behind detached earlobes. I could laugh alongside my math teacher as she told the most wonderful stories of her three-year-old daughter. I could be there for my theory of knowledge teacher after a medical procedure went poorly. My teachers provided me with a family outside of my family, and for that I am eternally grateful. As I approach college, I look forward to meeting new teachers, with whom I can build new relationships. But I struggle to believe I’ll ever form friendships with my teachers the way I did at my high school. My charter school allowed me to see my educators as more than a means to an end. They looked after me when others could not. They taught me to see the world from multiple perspectives, not just my own. They showed me that I am not the victim of any system, but a voice to overcome injustice. I am proud to have belonged to such a loving and powerful community, and I urge all underclassmen to make an effort to befriend their teachers. Love them for what they can academically help you do, but do not underestimate them. Teachers are some of the most powerful people this world has, don’t think otherwise. As you approach college applications and graduation, your teachers will be the ones helping you across the finish line. And when it’s your time to move out of high school and into your new lives, it is your teachers, with teary eyes and humbled hearts, that will give you the final push. Ali Ryan is a 2018 graduate of the Sage International Charter School in Boise, Idaho. She will be attending the School of Music at the University of Utah in August 2018. 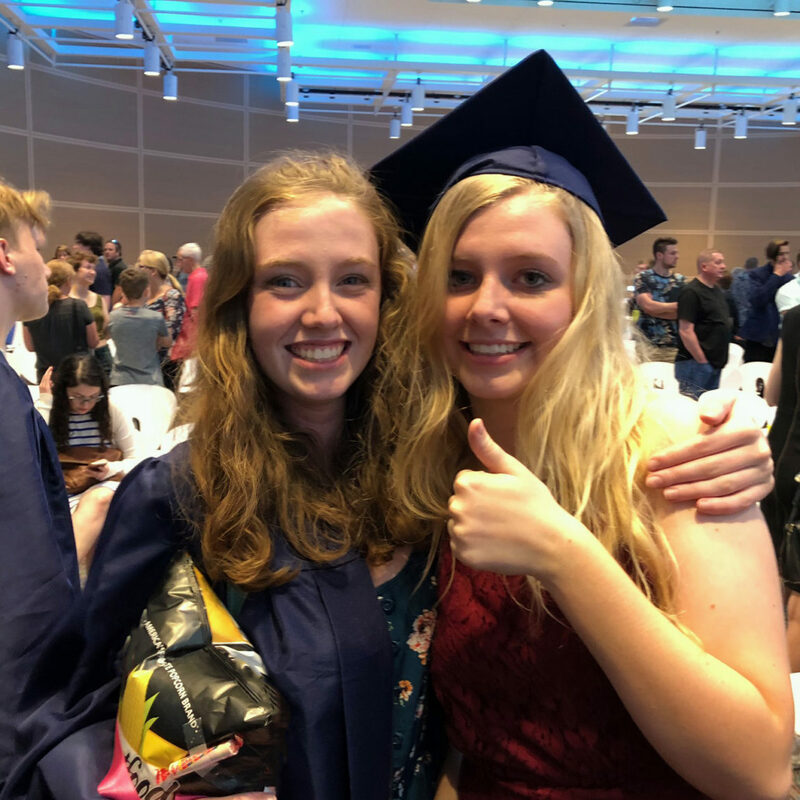 Her sister Agnes Ryan will graduate from Sage in 2019. This blog is a part of the National Alliance for Public Charter Schools’ month long celebration of #CharterGrads.